Dr. Carol Myers is the Curriculum Consultant at Transform Consulting Group. She is currently working with a client to redesign their college and career readiness program. She earned a Doctorate at Indiana University in Recreation and Adult Education. Carol also holds a Master of Arts degree in Community Education and a Bachelor of Science degree in Recreation and Youth Development from Ball State University. Prior to joining the Transform Consulting Group team, Carol developed and directed a year round high school youth leadership and mentoring program in Marion County with students from multiple high schools that focused on leadership development, community engagement and connecting with community leaders, partnering with school personnel and monthly day long learning experiences in the community. She also developed service learning experiences and programs, and as an a consultant for the Indiana Dept of Education, provided professional development with college faculty, teachers and youth workers throughout Indiana on how to implement quality youth advocacy, service learning and social action projects. 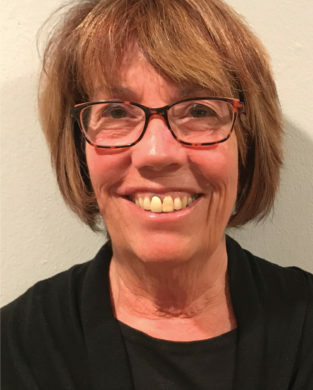 Carol has facilitated school wide planning with elementary, middle and high schools and has a working knowledge of school settings and designed interest exploration and internship programs for high school students in schools across the country as a School Design Coach with Big Picture Learning. As School Director, she started a charter high school in Indianapolis that incorporated student voice, adult mentors, internships, college and career readiness pathways, academic supports with college work study tutors and ongoing parent engagement around student learning. She designed college and career readiness curriculum for her own high school, and for two other high schools as well as a teen leadership program for Raleigh/Durham Regional YMCAs. Carol is a certified Coach with the Newfield Network, a trained facilitator with both the National School Reform Faculty and the School Reform Initiative, and a school design coach with Big Picture Learning. Fun Fact: Carol recorded 3 CD’s of original piano music. One CD includes cello! Favorite Food: She loves making up food combos. Right now a favorite is fried eggs and spinach on toast with veganaise and Sriracha Hot chili sauce.